This is an Italian peridot necklace. It is designed by Dolce & Gabbana. The jewelry is made with corner prong held stones; a classic ”rivière motif”, and of 18K gold. 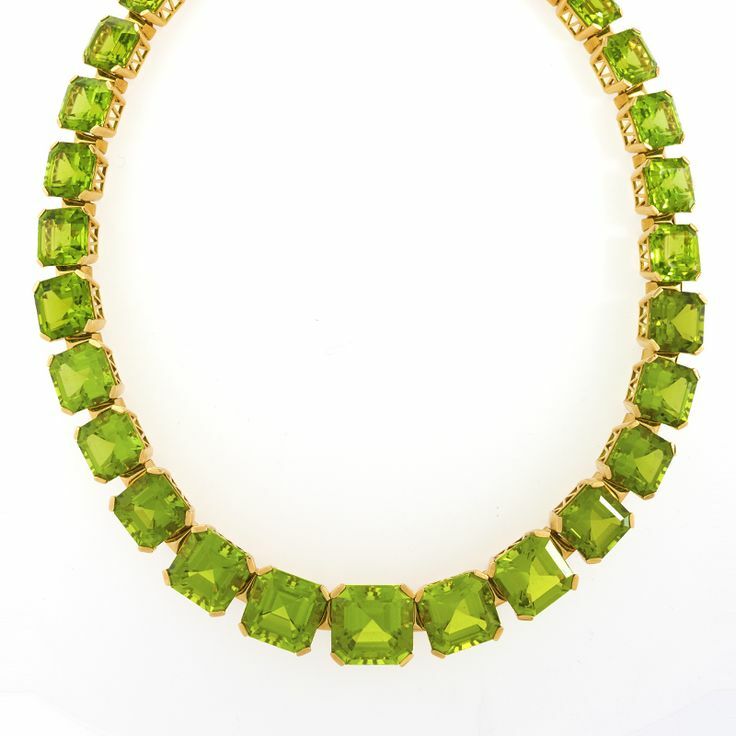 The gorgeous necklace comes with 29 peridot stones (rectangular-cut) and has a total weight of 220 carats.